Rancilio Silvia Boiler and Retro fit Boiler Kit. The retrofit kit will help install new boiler in older models.The L shaped tube with connection bushing will connect boiler to the steam valve. 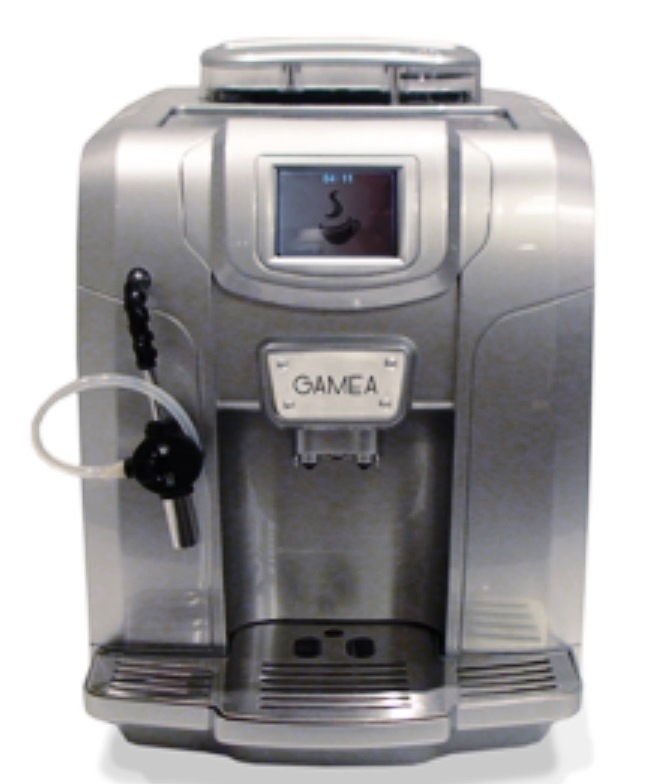 We do not recommend or sell any Philip/Saeco-Gaggia espresso machines assembled in Romania from 2006 & later. Quality of machine is poor and over 60% parts are not available. Beans remain fresh for 4-days when a bag is opened. OPEN A 4-OZ BAG FRESH, JUST BEFORE BREWING. Order beans in 4-Oz. bags today. Discover the taste of fresh coffee. No Refrigeration - No Air-Tight Jars - No Bean-sitting to preserve Freshness. The Roasting of beans is a time critical & precision process. 'Espresso roast' retains full aroma and full bean content in coffee. The coffee oil is best protected if left inside the bean, to be released only when beans are ground, just seconds before extraction of coffee. Dark roast oily finish charrs the beans & destroys Caffeine & other essential elements. Oil seen outside the bean is obvious sign of bad & careless over-roasting. Oil on the surface comes in direct contact with air & moisture for chemical changes & rendered stale & rancid product. The coffee extract will be without Caffeine & taste burnt & bitter. Do not 'Ever' buy any pre-ground coffee. It is too fine for home espresso machine. It is stale. It is mixture of floor swept bean scrap. Roasted beans have limited fresh-life of 2 months in vacuum sealed bags. When the bag is opened, the freshness lasts 4 days to be consumed. Smart storage means protection from harmful contact with air & moisture. Freezing, Refrigeration or an airtight jar is not right. As the best solution for freshness of beans from the roasting to the brewing is in a smaller 4-Oz. bag. Do not refrigerate or freeze beans. They absorb moisture, which in turn clogs the grinder burrs and may cause them to rust. Clean coffee grinder (Built in or stand alone) every three months. Calibrate the quality of espresso every day by making espresso in a shot glass. A shot glass limits the coffee size, allowing a visual check of espresso quality. Examine the color of espresso and the thickness of Crema. For making American coffee, dilute espresso with hot water from the same machine, instead of passing more water from the same ground coffee to add bitter & burnt taste. Frustrated with expensive repairs of old espresso machine? Is the repair cost of old machine higher than its resale value? 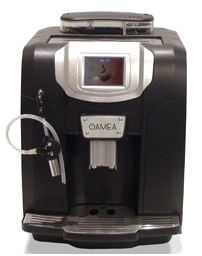 CLICK HERE for Gamea Demo Video CLICK HERE for Gamea make & model? 20% fewer parts. No Knobs, Buttons or Switcthes. Program, maintain & Operate with Touch Screen.